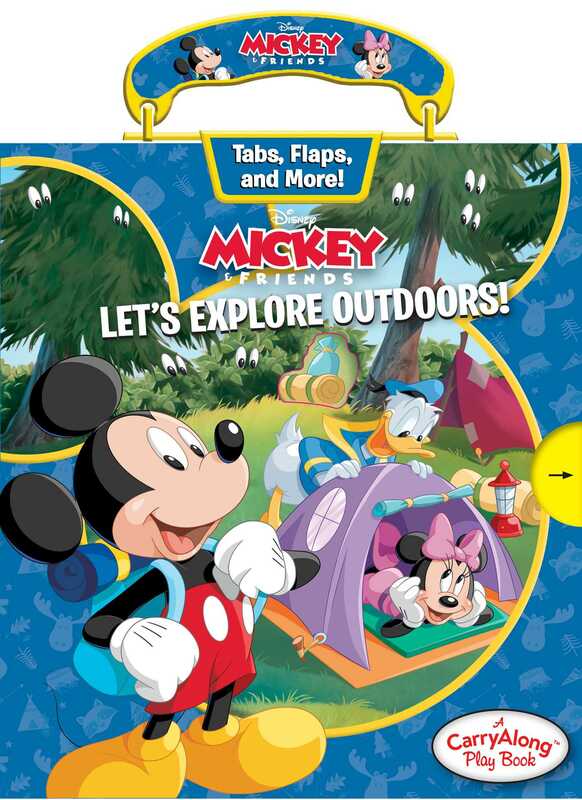 Pack your CarryAlong Play Book and come camping with Mickey and Friends! After Minnie tells a spooky story around the campfire, Donald and Mickey are left shaking in their sleeping bags! When a mysterious growling roars through the campsite, the two friends go hunting for the source of the sound, afraid that there’s a beast on the loose. Lift the flaps, pull-outs, and a sturdy CarryAlong handle make it so you can be a part of the story wherever you go!